This Multi-Color Flat Top ring is a great fun ring to show off to your friends! With 6 different light modes, it is easy to impress people at any party or rave. 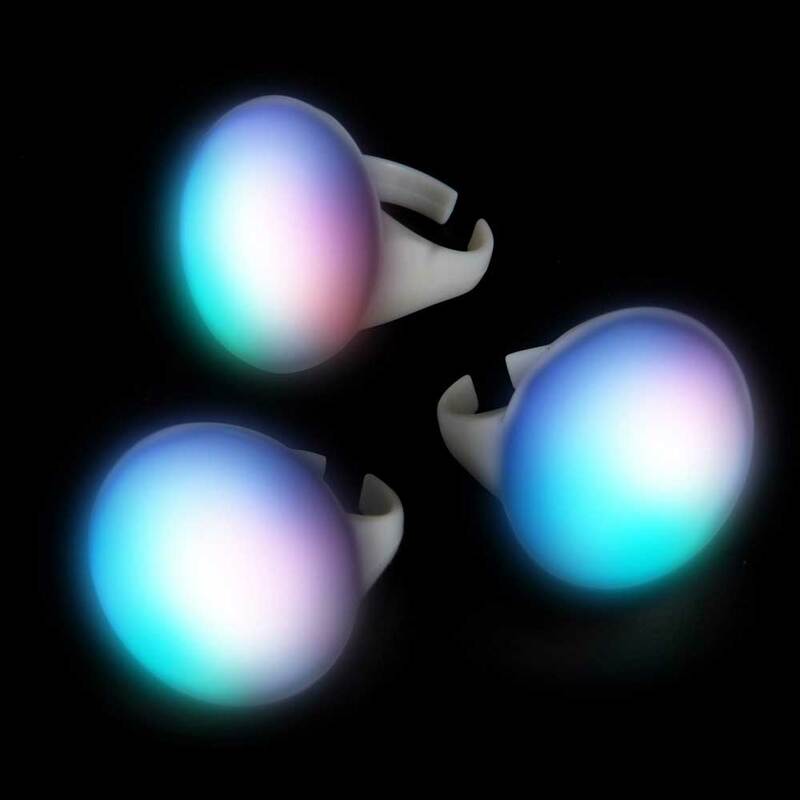 There's a strobe mode where it flashes multiple colors at once, a mood ring mode, and a mode where it can flash either red, green, or blue. In the strobe mode, wave the ring around to create amazing rainbow effects. The top of the ring is smooth and flat and about 1 inch in diameter. The ring is made of a sturdy white plastic that uses one button to turn it on, change the modes, and turn the ring off. One size fits all. Batteries included and replaceable. Use a medium screw driver to pop the top off. Use a micro Philips screwdriver to remove the 2 screws. Carefully remove the electronics board. Slide the 2 batteries out. Observing the proper battery polarity. Install new batteries and reassemble.